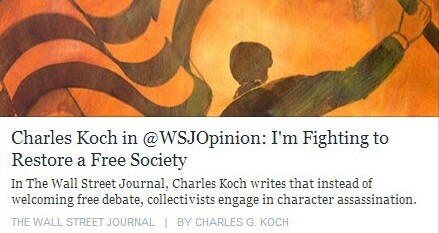 CHARLES KOCH for PRESIDENT !! Yes, the problem has been the trickle down economics that just does not work. Government has involved itself in our lives so much that most people feel they are not responsible for their actions the Government will fix it. But that mentality has cost us Trillions, allowing the government to spend today because of expected future tax revenues causing massive debt, Government Program Administrators that have created small Empires because of the money they control, State Officials who see Federal Programs and create additional taxes as matching funds to obtain Federal Funds, Business Operations who start development only to have other business operations subsidized putting them on the brink of Bankruptcy unless they also obtain Federal & State Funds. Taxpayers who find their income buying less and less because of increased Taxes & Fees. It is not the Government who creates jobs it is the Consumer’s demand for Product, Produce or Service. Less money for the consumer, less is consumed, less consumed, less produced, less produced less jobs, less jobs, fewer taxes paid. 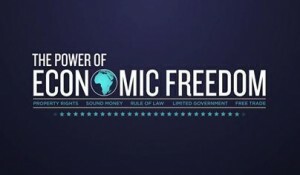 It is the Government, State & Federal who is making way , as Mr. Koch would say for “Cronyism” where the Rich get Richer. my admiration for his candid insight into our delema. He is right on.